Coat, Army Combat Uniform, Flame Resistant. 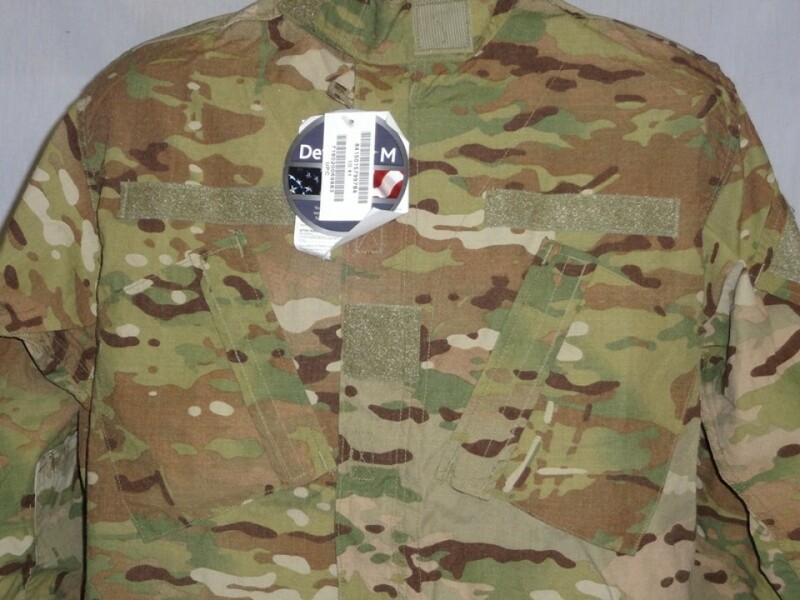 These are original, USGI issue Multicam combat uniforms. Coats are both flame resistant and have the Perimeter insect repellant treatment. Coats are in unissued condition. 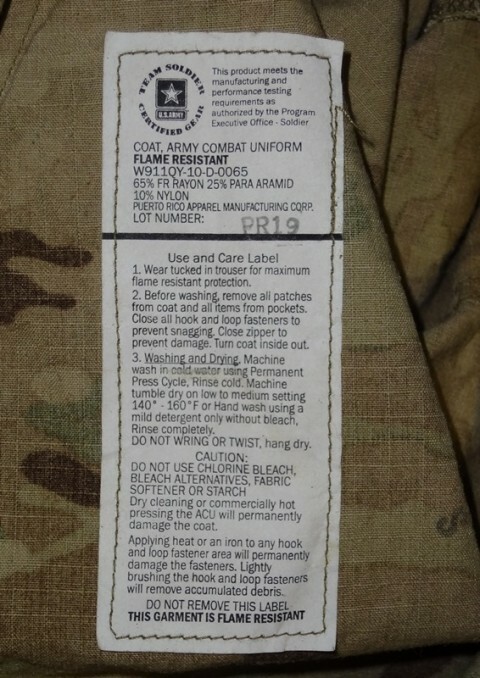 Coat, Army Combat Uniform, Flame Resistant. 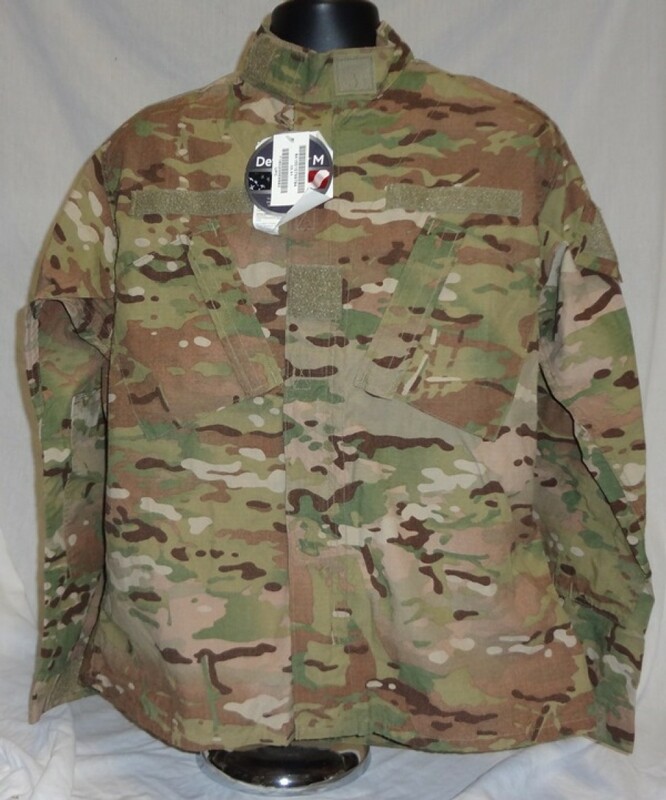 These are original, USGI issue Multicam combat uniforms. Coats are both flame resistant and have the Perimeter insect repellant treatment. These are NOT the 50/50 Cotton / Poly commercial copies. These are 65% Flame Resistant Nylon, 25% Para Aramid and 10% Nylon. Lightweight ripstop, Coats are in unissued condition. 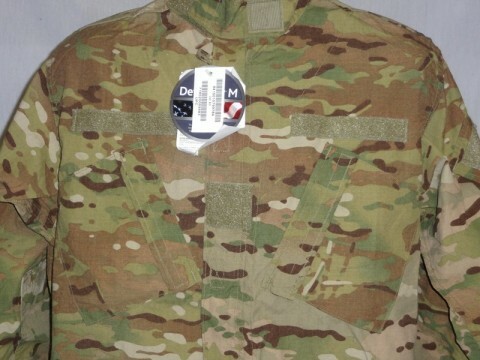 Sewn to military specification FQ/PD 07-13A for official duty use. 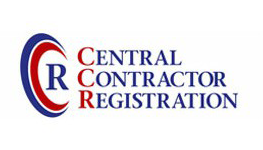 ASTM D 6413-99 certified to meet the official flame resistant standards. Fade, shrink and wrinkle resistant fabric. NIR compliant fabric avoids infrared detection. Felled seams provide strength to increase durability. Mandarin-style collar is adjustable to be worn up or down. Two angled chest pockets include hook and loop closures for item security. Drainage holes in pockets wick away moisture. Two-way zipper front includes a protective flap to stop damage. “Bi-swing” back does not hamper your range of motion. Two upper-arm pockets include loop-facing for insignia attachment. Three-channel pen pocket affixed to left sleeve. External openings allow elbow pads to be inserted. Hook and loop closure on sleeve cuffs is fully adjustable. U.S. Army approved for official duty use in Afghanistan. Coat includes a square marker on the left cuff to identify it as fire-resistant.